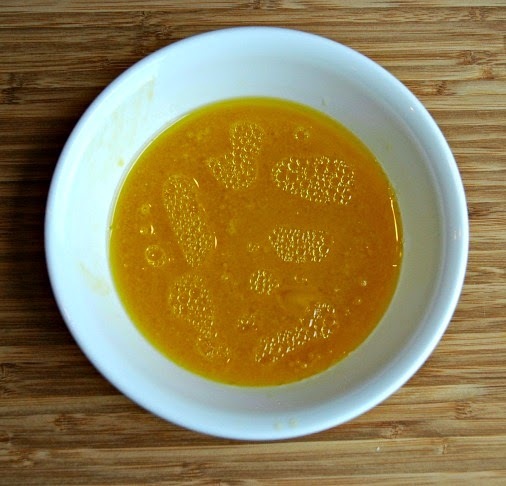 You know how when you see a recipe that looks good in a newspaper or magazine you might make a mental note or turn down the corner of the page in order to remember it later? But of course, you never remember it and so it never gets made? Well, not my Mama! She clips those puppies out, organizes them, and tries them. I'm glad she does, too, because this little gem originally came from a USA Weekend newspaper that was probably floating around the continental breakfast at some hotel she stayed in while traveling. Don't let its humble origins fool you, though. It's scrumptious, and makes a perfect lunch salad or side dish. 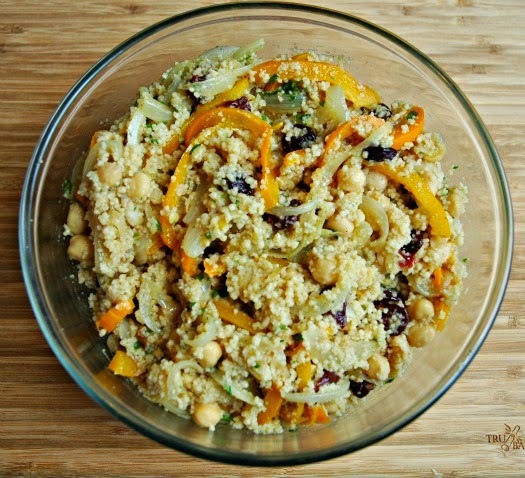 Place couscous and dried cherries in a medium bowl. Add boiling water. 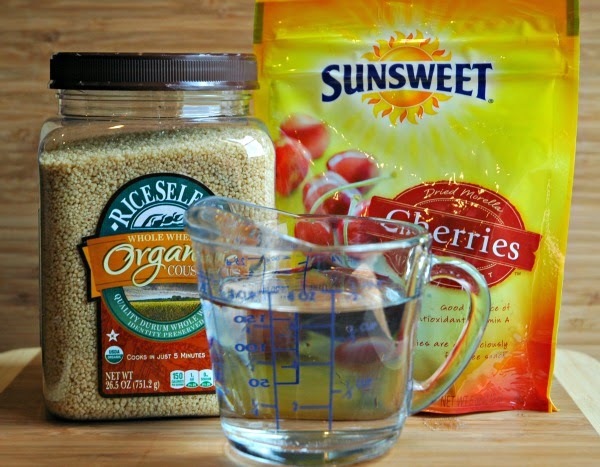 Immediately cover bowl with plastic wrap and let sit until water is absorbed, about 5 minutes. Meanwhile, heat 2 Tbs. of olive oil in a large skillet over medium high heat. 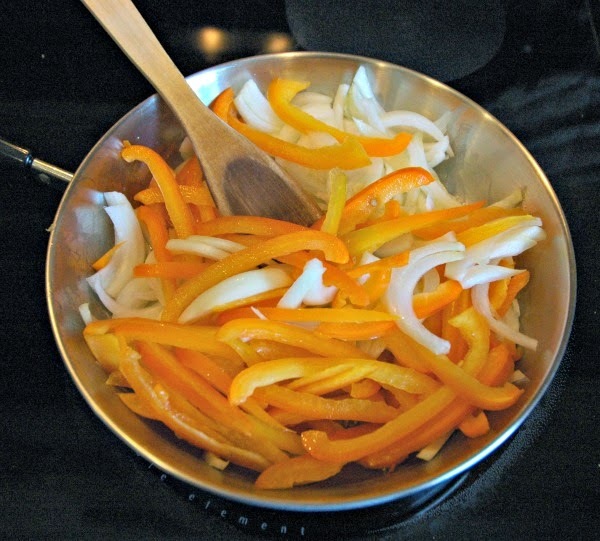 Add bell pepper and onion. Saute until tender-crisp, about 5 minutes. 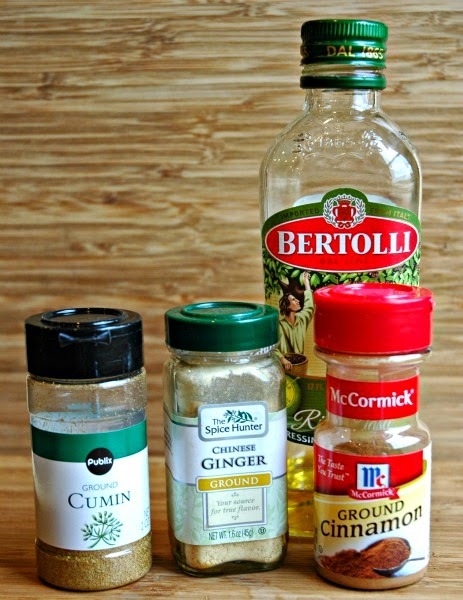 Add cumin, ginger, and cinnamon and cook for an additional minute. Add sauteed peppers and onions to couscous, along with chickpeas and cilantro. Whisk the remaining 3 Tbs. 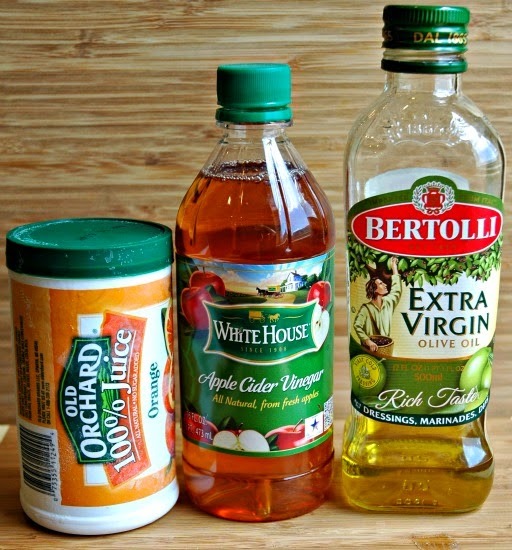 of olive oil with vinegar and orange juice concentrate. Pour over salad and toss to coat. Cover and refrigerate until ready to serve. 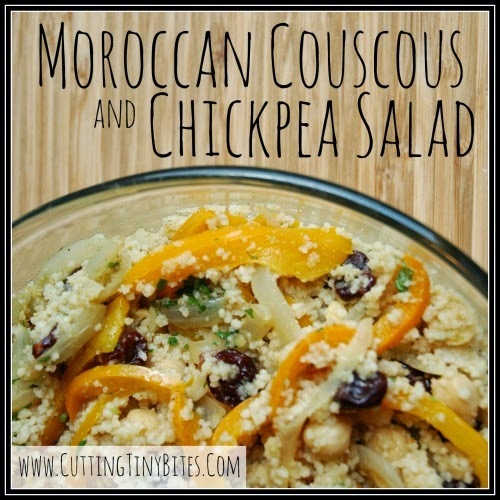 Moroccan Couscous and Chickpea Salad. Healthy vegetarian side or lunch salad.